The family is symbolised by large and small nestling birds. 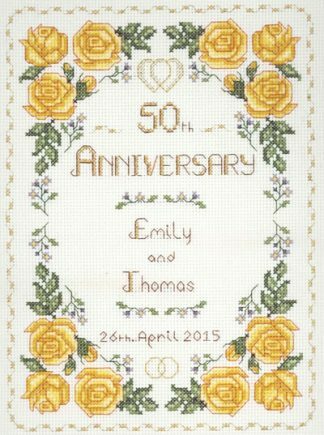 You can stitch the border either with scrolls or unlimited names of children and or grandchildren. 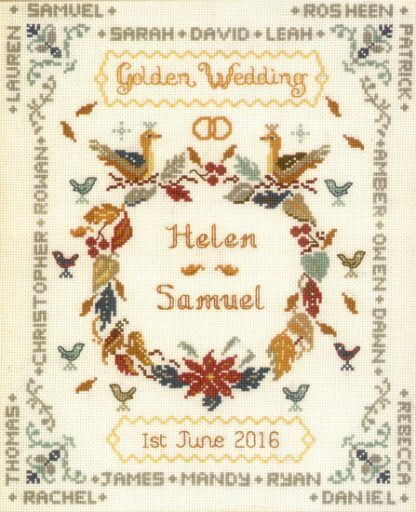 This creates a really special sampler for proud grandparents. Future generations in your family will want to know who created this wonderful heirloom!